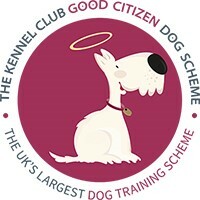 Sarah Western is the founder of The Puppy Trainer, which is now a Kennel Club Good Citizen Dog Scheme Listed Status Club. 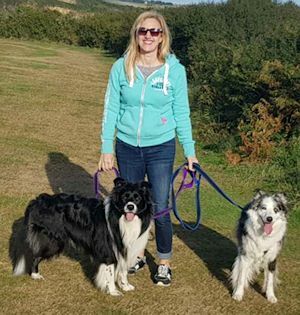 She has been working and training with dogs for over 15 years , 11 years as a dog walker and for the last 5 years teaching classes, home visits and gets regular referrals from Dogs trust, helping owners with behavioural issues. She has completed and achieved a Distinction in the Higher Diploma in Canine Behavior and Psychology with Compass Education, and is now a Full Member of the International Society of Animal Professionals. Sarah has gained a Canine Diploma , Emotional Healing Certificate and has been awarded the ISCP accredited Centre for the northwest, the first centre in the area. 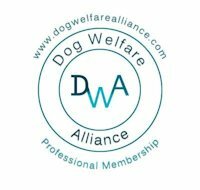 Sarah is now studying the Advanced Diploma in Canine Behaviour with the ISCP..
Sarah is a proud member of the Pet Professional Guild, a Full member of the Association of INTO Dogs, a member of the Dog Welfare Alliance and is proud to be listed as an Accredited Animal Behaviorists with the ABTC. Sarah has gained her instructors qualification plus certified level 1 & 2 clicker and target, with the IABTC with Angela White. Sarah is also the first of a group of people to become a qualified Canine Flow Practitioner with Caroline Griffith the Spiritual Dog Trainer. As a Canine Flow Practitioner, Sarah will be taking Reach your Pawtential Workshops and running Relax Dog Training Classes. 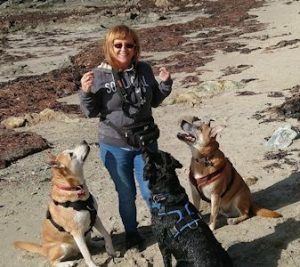 Sarah regularly attends seminars, workshops, conferences with Top Dog Trainers from all around the world, keeping up to date with all the latest training methods. The Dog Bite Conference speakers included Dr Jean Dodds, Dr Nick Thompson, Dr Sue Armstrong, Dr Karen Becker, Caroline Ingram, Rodney Habib, Dr Isla Fishburn and Caroline Griffiths. The Dog Bite Conference 2015 speakers included Daniel Mills, Kendal Shepherd, Louise Swindlehurst, Nando Brown, Trevor Cooper and Victoria Stilwell. Susan Freidman – Living and Learning with Animals. 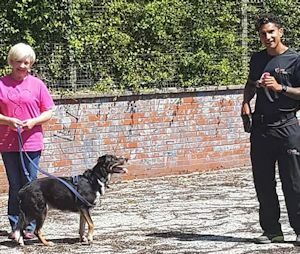 Chirag Petal – 2 day workshop Giving Training back to Dogs. Brenda Aloff – training and handling reactive dogs. Sarah has also attended workshops and seminars by Jane Arden Kennel – Club Trainer of the year 2015, Victoria Stilwell – Unleash yours dogs Intelligence, Grisha Stewart- BAT, David Ryan – Predatory Chase, Trevor Cooper – Dog Law. assisting me in delivering the elements required for the Puppy Kennel Club Good Citizen Award. Along side this Hannah is working towards her Bronze Award in Obedience with her own dog Maggie. 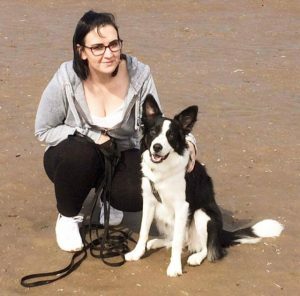 Hannah has recently achieved her Canine First Aid and will be extending her knowledge of dogs through a Puppy Certificate, and through classes. Ali has been living and working with rescue dogs for 40 years and in that time has dealt with a range of complex issues. She currently shares her home with 2 Rottweilers and 2 Collies. Ali is a home checker for a number of rescues , has had experience of working in a rescue centre as a volunteer and has fostered dogs until suitable homes could be found for them. Over the years she has attended a number of different training classes with her own dogs including Rally Obedience and Scent Work and has gained her IABTC Clicker & Target Training Level 1 certificate with Angela White. Victoria stilwell’s ‘The power of positive Training’, Dog Smarts – Unleash Your Dog’s Intelligence’ with Victoria Stilwell, tlhe National Dog Bite Prevention & Behaviour Conference 2015, ‘Simple Solutions for Common Behaviour & Training Problems’ with Dr Ian Dunbar, ‘Handling & Training Reactive Dogs’ with Brenda Aloff, ‘How To Change Predatory Chase Behaviour in Dogs’ with David Ryan, ‘Teamwork seminar: Building Cooperation with Your Dog On & Off Leash’ with Grisha Stewart, ‘Fearful Dog’ Workshop with Jordan Shelley & Gavin Muldoon, Precision Training with Clare Russell, Cognitive Skills for Dogs with Kay Attwood, WSDA Beginners Scent Workshop with Corrine Wrend, Introduction to Ttouch Workshop with Rachel Jackson. How to Communicate With Your Stimulated Dog with Craig Ogilvie. Hi, I’m Cathy – owner and trainer at SCENT SEEKERS. 0ffering different types of fun scent work for pet dogs and their humans. Having taught scent work for the past 5 years to many dogs of differing breeds, ages and capabilities, I am confident in my ability to make sure your dog has the very best and most fulfilling experience at my classes. 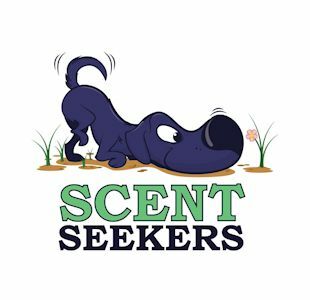 SCENT SEEKERS is based in Wigan but I am thrilled to also be teaching classes for Sarah Western and feel privileged to have met some lovely dogs and people here in St Helens. SCENT SEEKERS IS all about the dog! Once we have established what your dog prefers to search for, we encourage them to seek it out. Starting off with basic searches and then progressing on to more challenging and complex scenarios, worked through by dog and human as a team. Finding the item or food is always a joyous moment between dog and handler – something to be celebrated enthusiastically! We have a friendly and flexible approach – always making sure that your dog is having fun. Classes are on-going and you progress at a pace you are comfortable with. You can stay with us as long as you and your dog are having fun. To attend dogs must be sociable with other dogs and people, and happy to settle between searches. However, the class environment is not for all dogs and in such instances I can work with you on a one to one basis – just ask! I have a keen interest in all things scent related and in my spare time I love to work with my own dogs partaking in different scent based activities. Recently I did an introduction to tracking and I had a go at mantrailing I thoroughly enjoyed both and I intend to continue as part of my CPD when time allows.